& it's sweet like honey. 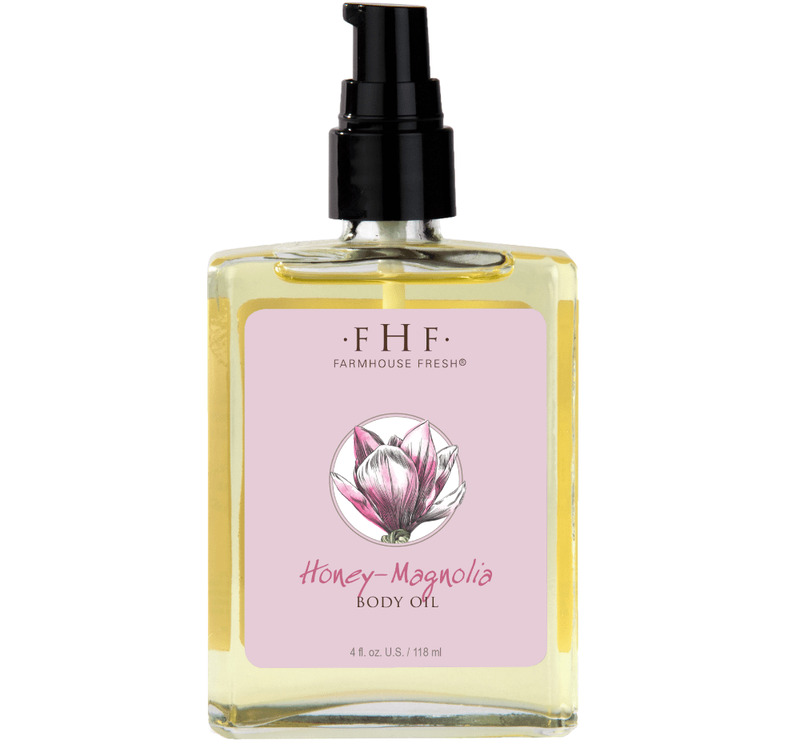 Let a hint of honey and magnolia flower envelop your body, with this beautiful vitamin-rich body oil that brings an instantly silky, soothing feel to skin. Use in your bath water or apply directly to skin as a light but deeply hydrating body oil. 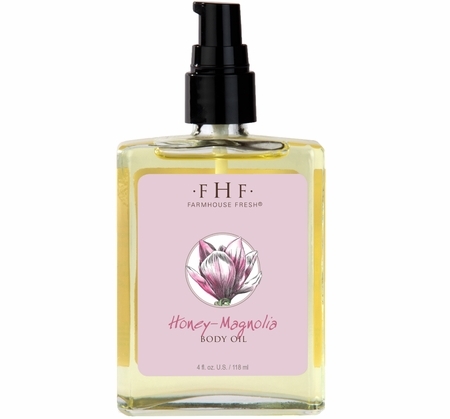 Honey-Magnolia Oil imparts wonderful benefits to skin as Grapeseed and Olive Fruit oils have powerful antioxidants which diminish the look of the damaging effects of sun and improve skin's texture. With this gorgeous scent, you'll be the sweet breeze that blows in! Love, love, love this oil! It's the only one I've ever used that actually absorbs into the skin and feels so nourishing & hydrating. The scent of magnolia is divine, and reminds me of growing up in the deep South where the dogwood and magnolia trees abound. A beautiful, quality product indeed! I received this product as a mistake, but I'm glad that I gave it a try, because now I am in love with this scent! This is a light, long lasting scent of fine honey and crisp lavender. At first touch, it seems very thick, but instantly absorbs into the skin. I use this in conjunction with the honey lavender scrub, and together they're a match made it heaven! This body oil is rich and stays on all day. Smells delicious. One of my forever staples. Smells wonderful, put on any time, but love it after a shower!!! Does not leave you oily, soaks in and leaves you soft and looking great!! !